For those who have hiked up Longs Peak, this is one of the views that will always be remembered. After several hours of steep hiking, the trail crests a ridge and begins to flatten out just at the start of the Boulder Field. 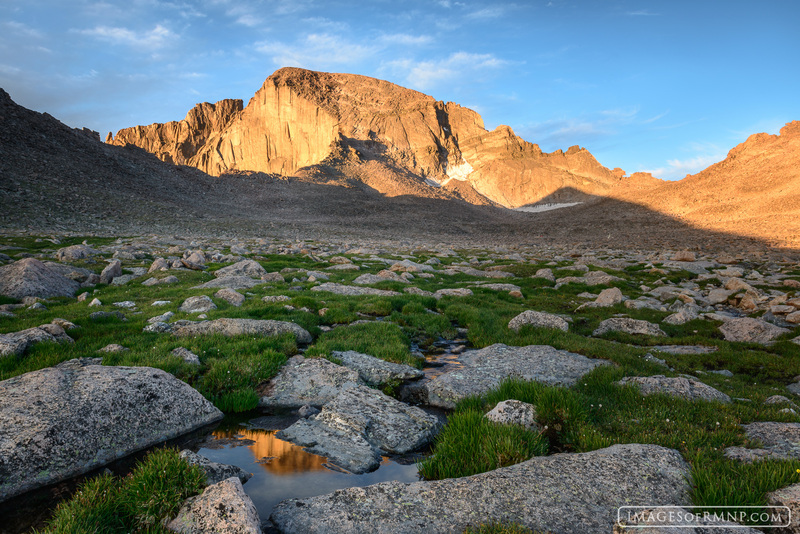 Now, Longs Peak is finally visible, standing bathed in the warm light of a new day while on the far right the Keyhole beckons the hiker onward. Photo © copyright by Erik Stensland.